Greetings from LouizZ and me! 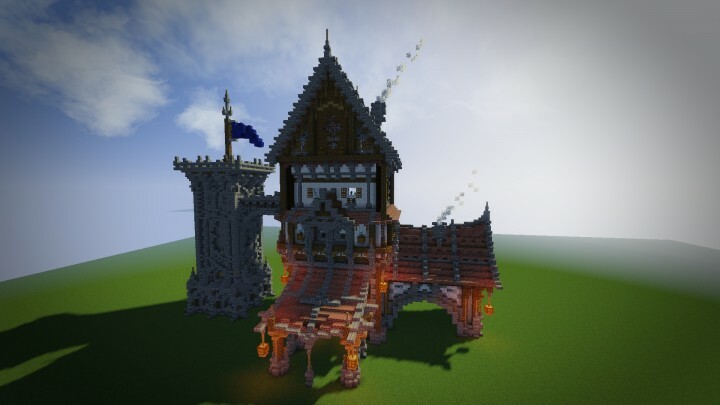 Hey guys, I'm back with another small medieval build - the first one in a hopefully long and successful series: Medieval Mondays. This doesn't mean that every Monday there's gonna be a new medieval build, but that every Monday if you refresh your page it is possible that you might find a new one. So that's that, it's not a regular or weekly series. 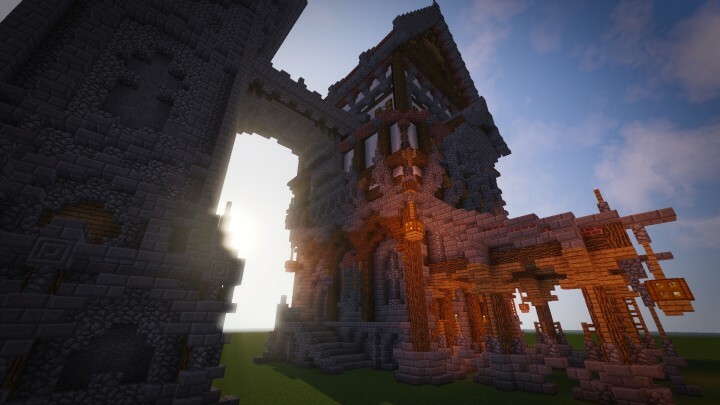 I originally wanted to create my own medieval building pack / bundle, however I quit and picked up the project several times, so I figured it'd probably be the best solution to just, as soon as I'd built another house, upload it here. Otherwise I presumably wouldn't have finished the project and all the work would've been in vain. Is there a download link or can not you download these buildings? You can download the .schematic file which can be imported into a Minecraft world using MCEdit or WorldEdit. how to get the world viewer thing to work? Love this build! Great work! 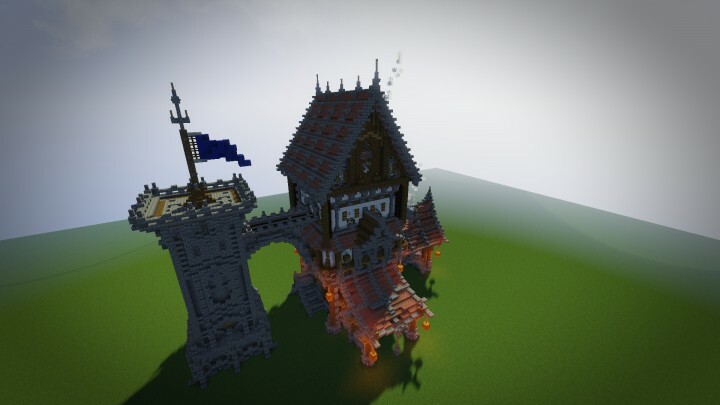 Can i use this build to my sever? Okay, but you won't claim it as your own work? 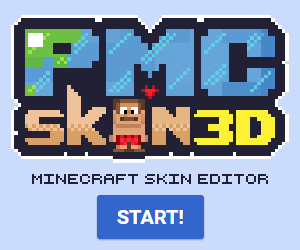 Also, please put the links of the two projects you took of the original PMC post so they can view it here! 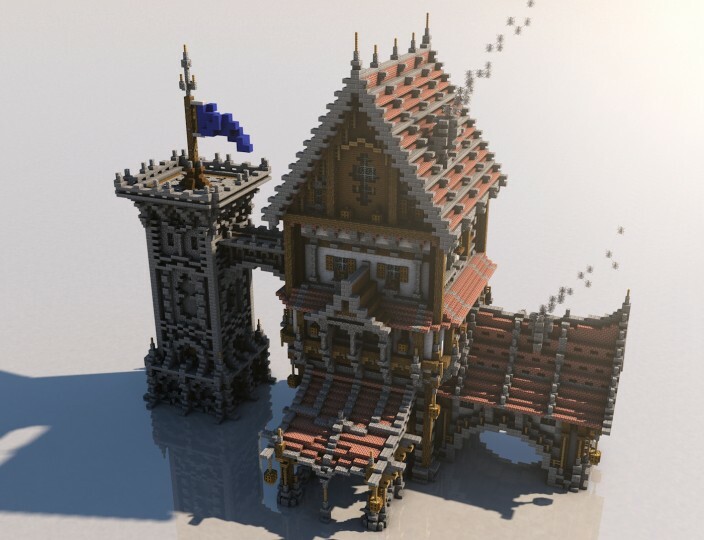 Your builds are awesome thanks for sharing them! Any chance you could do a small stable? May 8 horses? I'll definitely add it to the list, thanks for the addition! Oh my God! This is stunning! Amazing !, I really like. With that program you did tthe first render ? Thank you templario! I used Cinema 4D to make the fiest render. 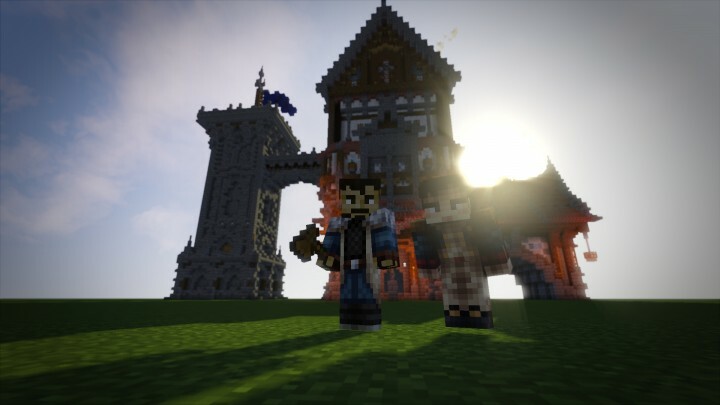 i dear you to make the next one without renders or shaders! then see how many people like it! Oh! Another fool who still has not understood that presentation is an extremely important factor when publishing something. One day you will, laddy. yes. that was the point, to see how many diamods you will get. probably like 30 not 100 ;/ i wasnt trying to be mean. Leaving out the presentation part is nothing but stupid, it's like building a house without a roof, not completed. Why would I do it, why would anyone do it? Wow! That is one of the most impressive medieval houses I've ever seen! Well done! 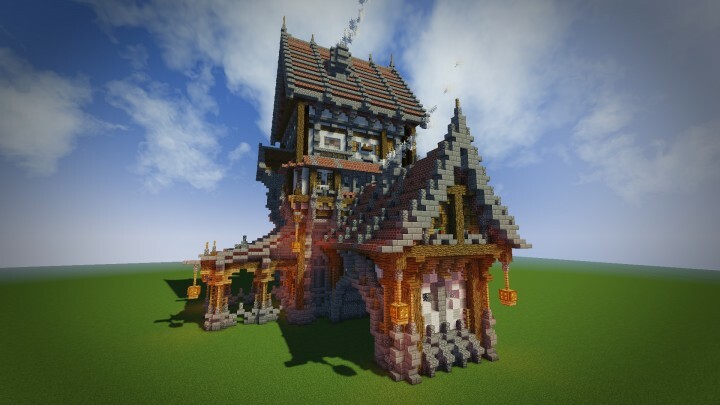 Not on this one, but you can expect interiors done on some of the future builds! Ich mußte einige deiner Bauten einfach in meine "building ideas" aufnehmen. Ich mag deine Burgen und Schlösser total. Mir gefällt dieses kantige und das deteilierte, genauso wie die verschiedenene Formen. Die größe deiner Gebäude ist auch genau so wie ich sie shcön finde, sie passen gut zur Spieler Größe und sind nicht einfach nur gigantisch groß um schön zu wirken. 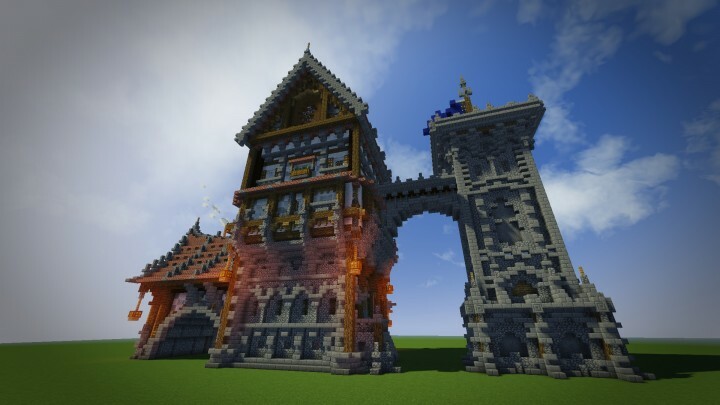 I'm making a Minecraft Unversity, may i use some of your creations please?? Haha cool, Minecraft University. Sure, go for it. 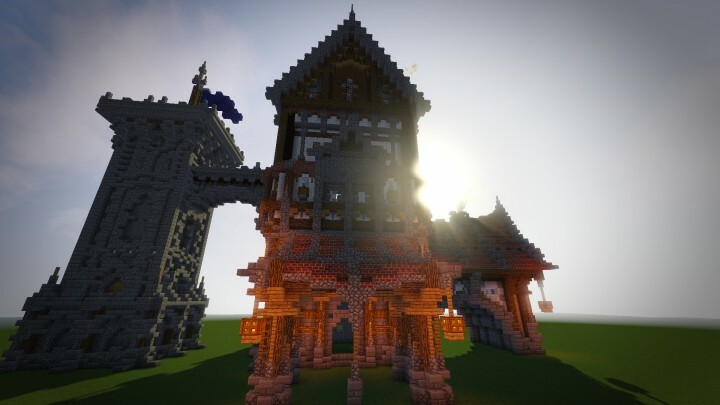 Great build very complex, whats the shader ur using? Looks awesome! Mondays will now be awesome!